1. Ranks in th top 20% of the breed or better for 11 different traits and indexes. 2. He has a near perfect structure and profile with thickness and added muscle. 3. 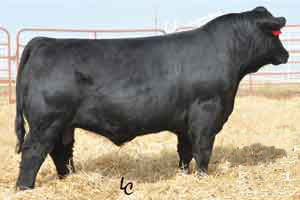 DNA tested homozygous black , homozygous polled.